The Acer Extensa 5220 (-100508) is an appealing office notebook equipped with a single core processor, which is available at a small price. It is suited to those who wish to have a reasonable second notebook or a cheap desktop replacement for browsing the Internet and all office work. Equipment, display, and workmanship or top, if you consider the price category. Notebooks with two cores (Dual Core) are currently highly demanded. Their performance is better than the one of single core processor notebooks. This is especially true, if more than one applications is run at the same time. E.g., a video runs smoother, if music or video data are converted by a second application at the same time. 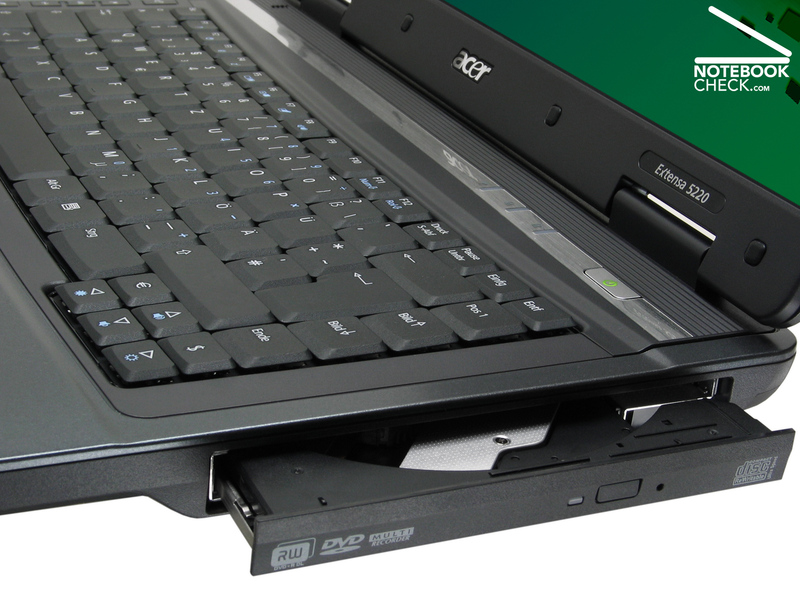 Against the current trend to dual core systems, the Acer Extensa 5220 (LX.E8706.016) is a single core system. Nonetheless, the performance of the Extensa 5220 is sufficient for e-mail, spreadsheets, text processing, or browsing the Internet. 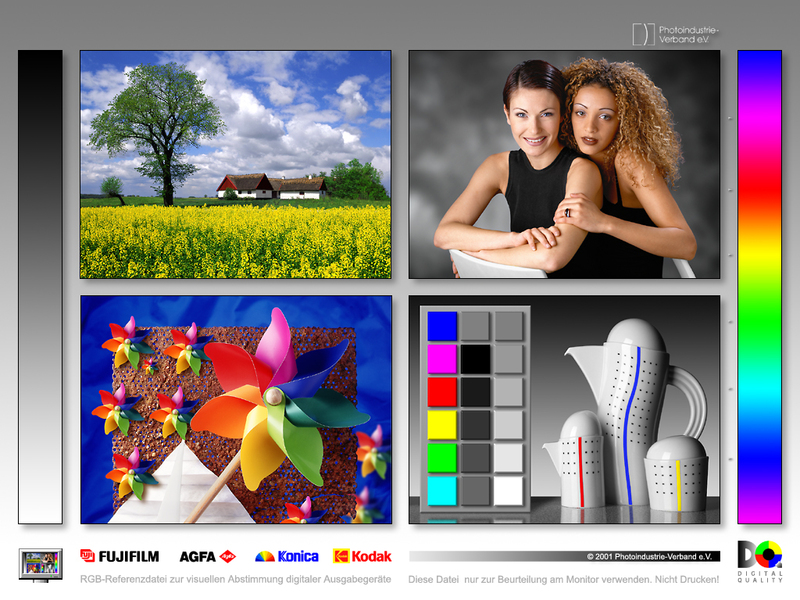 Simple picture editing and multimedia applications are also no problem for the Extensa 5220. Design and look of the Acer Extensa 5220 are modern. Bevelled parts, contribute to the nice look of this office notebook, everything appears to be homogeneous. A dark-grey finish dominates the appearance of the Extensa 5220's top trough, which is made of plastics. A size of 36,0 centimetre x 26,7 centimetre x 4,1 centimetre and a weigh of 2.9 kilogramme are fair average for a 15.4 inch notebook. The hinges can be easily moved and every adjusted position is supported without problems. Also the display frame appears to be solid, whereas it hardly creaks, if the opening angles is adjusted. A webcam is not available. Take care to protect you Extensa 5220 against heavy or sharp objects pressing against the lid, if you carry your notebook in a notebook bag, because the lid is sensible to force and scratches. Considering the Extensa 5220 is a starter notebook available for just 400.- Euro the choice of materials and the workmanship are very good. the case is very stable, you'll rarely hear creaking noises typical for cases made of plastics, if you pick it up with one hand. The used plastics seem to be of high-quality. and feel nice to the touch. To summarize: The quality of the Acer Extensa 5220 is by all means alright. Unusual for this price category the Acer Extensa 5220 provides actually seven hot keys left beside the keyboard. They, e.g., enable to quickly launch the standard e-mail application or the web browser. One of the hot keys is even user configurable. At the front side there are two slide switches, one for controlling Bluetooth, the other one for controlling Wireless LAN. Using them can be tricky. Furthermore, the switch for Bluetooth is useless, because Bluetooth is anyway not supported by the Extensa 5220. 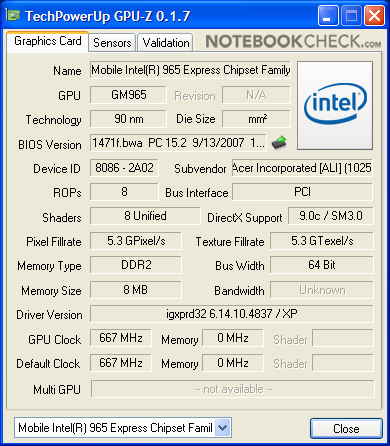 The interfaces equipment is considering the Extensa 5220 is a starter notebook good. 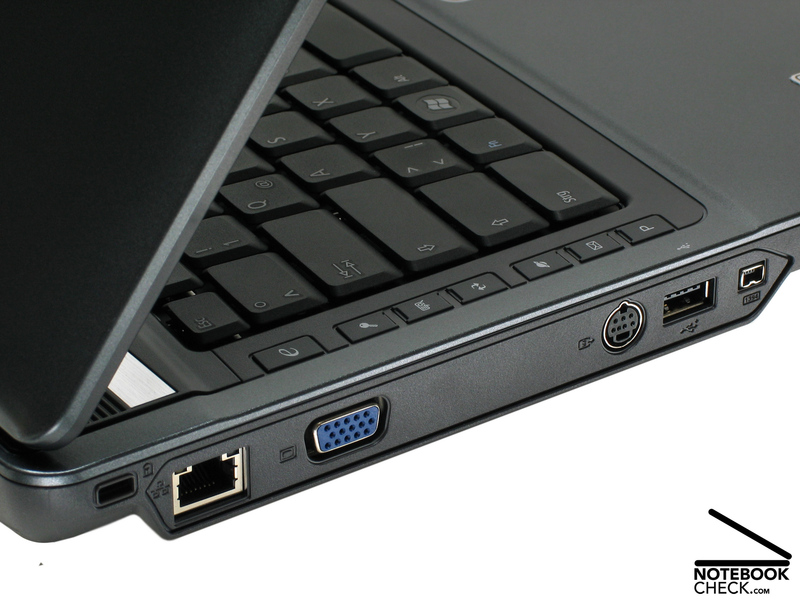 Besides fast Firewire (i.LINK, IEEE1394) also four USB-2.0 ports, and an S-Video out are available. 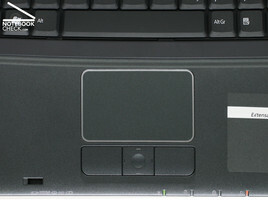 Despite being not usual, the Extensa 5220 has two slots for expansion cards, whereas one supports the modern ExpressCard/54, the other the wide-spread PC-Card. Three sound interfaces for headphones, Line-In, and microphone, and a 5in1 card reader (MMC, MS, MS Pro, SD, xD) for wide-spread flash memory cards make the interface equipment complete. 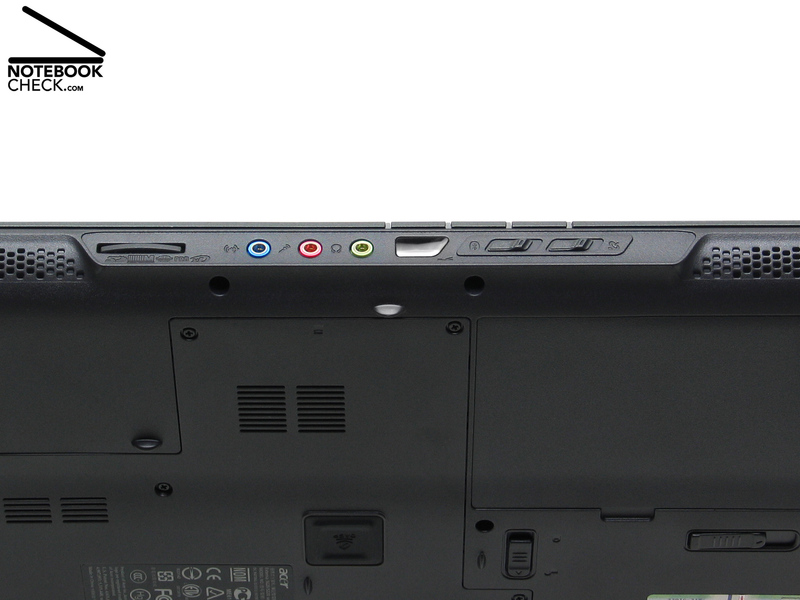 However, a built-in webcam and a digital video out like DVI or HDMI are missing. At the time of writing the later ones are only provided by notebooks which cost more. Also the communication equipment is except of Bluetooth complete. Wireless communication is possible via Wireless LAN (802.11b/g) which supports transfer rates of up to 54 MBit/s. Even a fast infra-red interface (FIR, Fast Infrared, up to 4 MBit/s) enables data transmissions to and from mobile phones. Provided you have appropriate fast hubs or network switches, fast wired communication is possible via Gigabit-LAN. Furthermore, also a modem port for analogue communication is also provided. 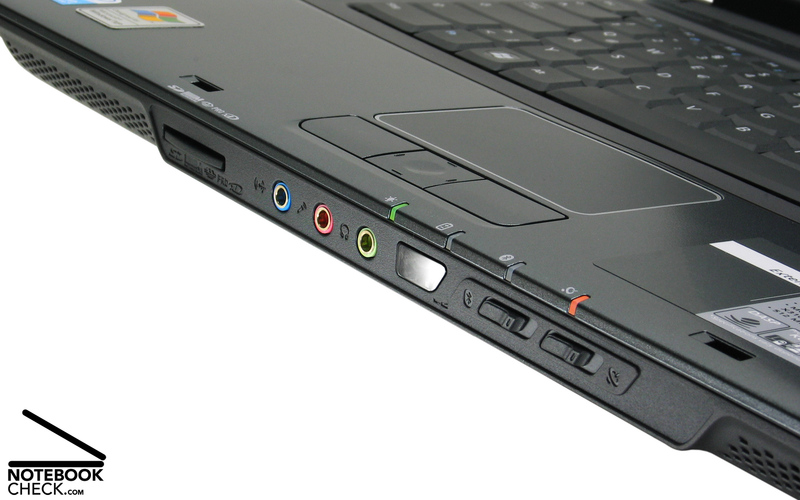 Also the input devices of the Acer Extensa 5220 are high-quality components. The quality of the keyboard and the touch pad is high, so, even demanding writers will be satisfied. 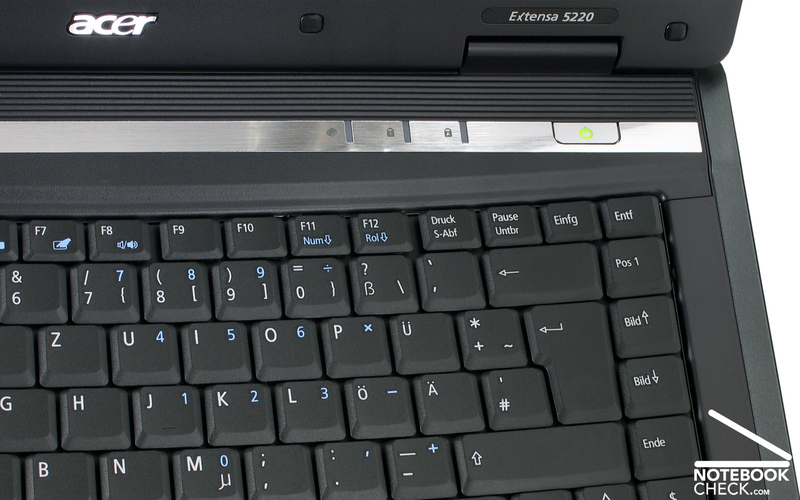 The input devices of the Extensa 5220 do not need to fear the competition with those of other, more expensive notebooks. 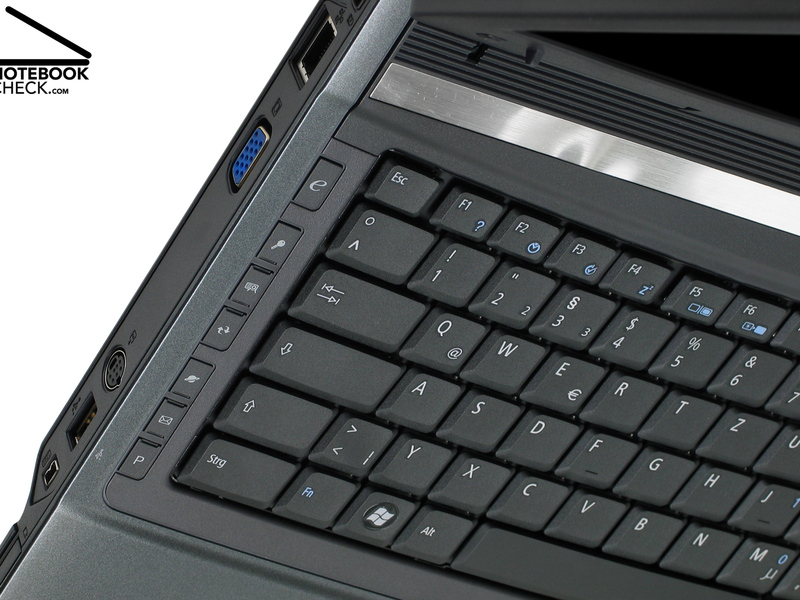 The slightly convex keyboard consists of 89 keys with a size of 1.4 centimetre x 1.4 centimetre. Thereby being slightly convex contributes to the good ergonomics of the keyboard. The key heads only wobble a little bit. The key travel is short and the feedback user-friendly. Furthermore, there is hardly any clattering during typing, so, the keyboard is relatively quiet. The keyboard layout is a standard layout. So, every key is where you are used to and there is no need to adapt to a changed layout first. Furthermore, the keyboard area is mechanically stable and does hardly yield during typing. The size of 7.0 centimetre x 4.5 centimetre of the touch pad is spacious and enables to user-friendly and precisely move the mouse pointer. 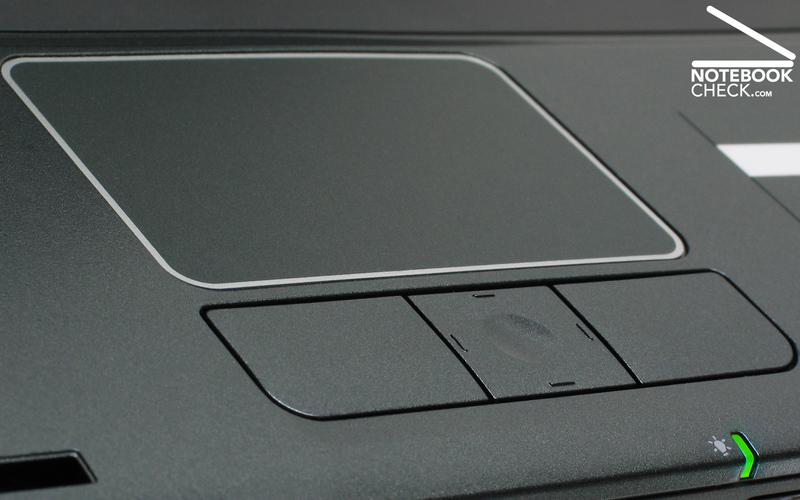 The surface structure of the touch pad has a good grip and feels nice to the touch. Furthermore, it can be easily and quickly disabled by pressing Fn and F7, if it is not needed. However, the scroll area is not marked. The clicking noise of the touch pad buttons is rather loud. Furthermore, the underlying mechanically mechanism seems to be a little bit wobbly. But, the 4-way scroll button enables to quickly browse through big documents. 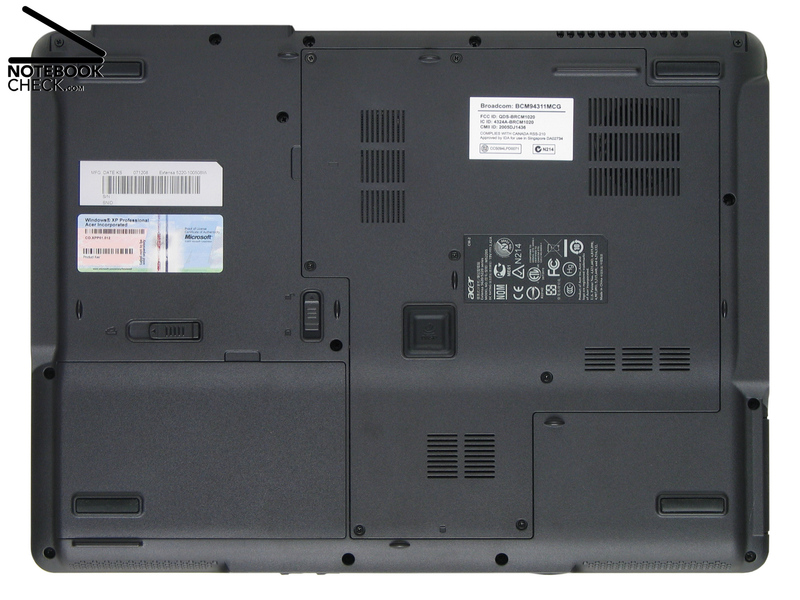 The 15.4 inch flat screen of the Acer Extensa 5220 has a matte display surface. So, the 16:10 aspect ratio wide-screen LCD hardly reflects. This WXGA panel has a resolution typical for this notebook category, i.e., 1,280 x 800 pixels. In mains operation the Extensa 5220 has a high maximum brightness of 213.8 cd/m². 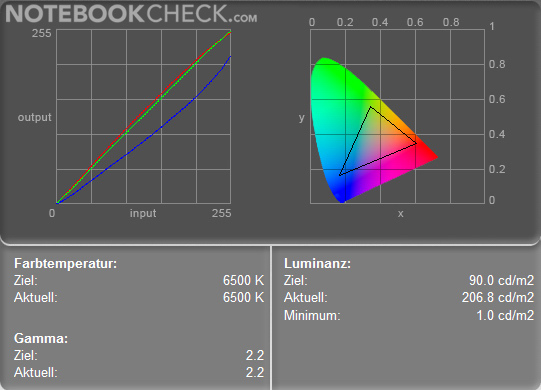 Also the average brightness of nearly 198 cd/m² is quite high considering it is a matte display. So, the matte surface and the sufficiently bright display should enable you to sometimes work outdoors. Also illumination and contrast are good. 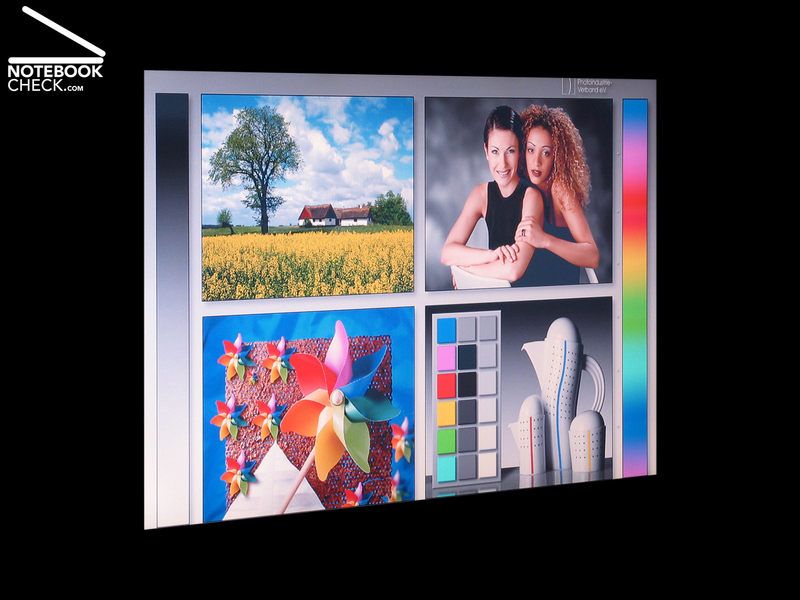 The illumination of 84.89 percent is quite homogeneous compared to other 15.4 inch displays. Considering it is a matte display, the contrast is also good. In mains operation the minimum brightness (black value) of 1.0 cd/m² and the measured maximum brightness of 206.8 cd/m² give a contrast ratio of nearly 207:1. 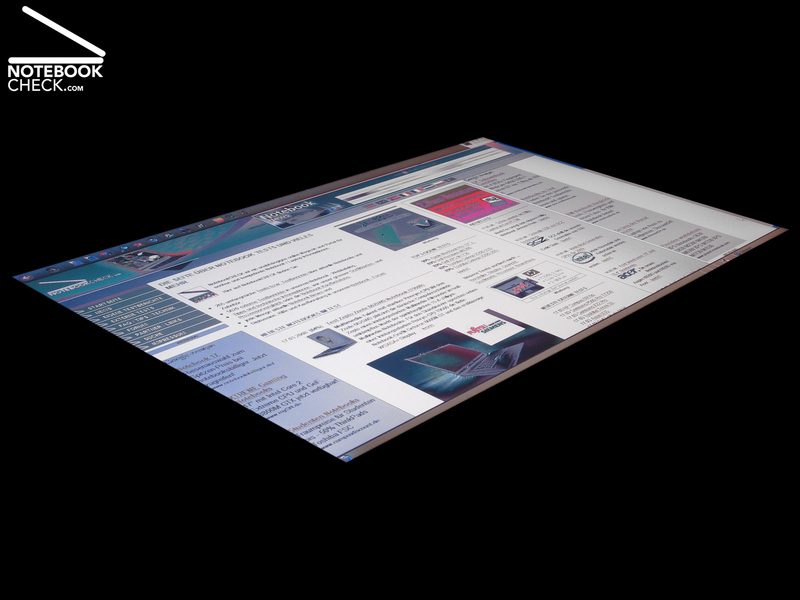 The possible viewing angles are as expected. 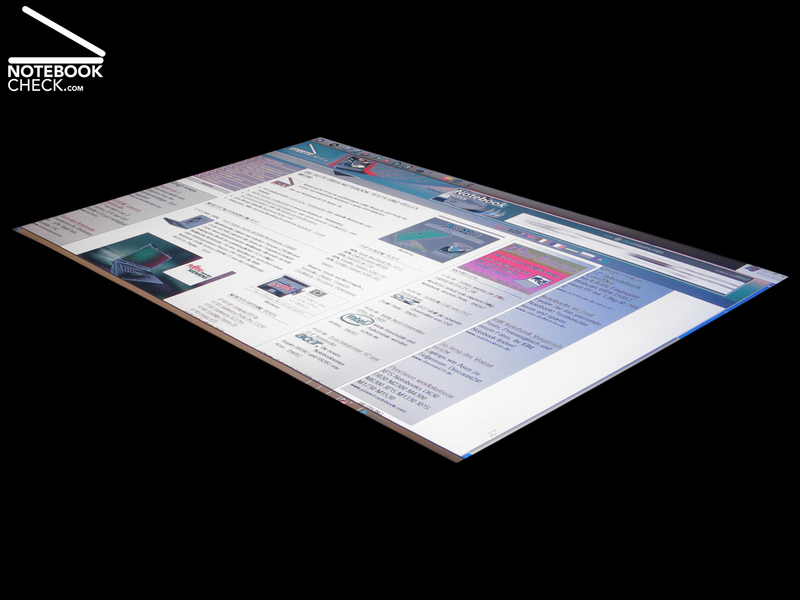 Alike other matte displays, the dependency on the viewing angle is horizontally average and vertically considerable. 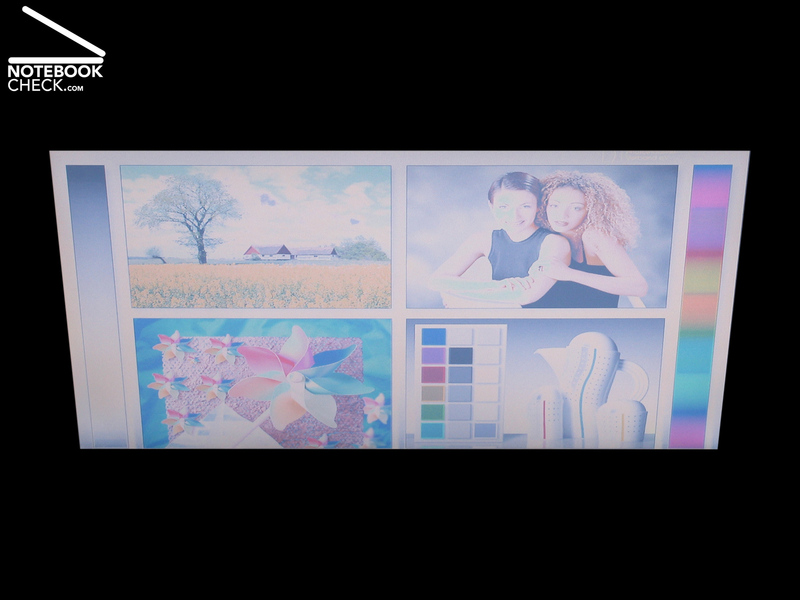 Directly compared to our reference screen - a high-quality 20 inch MVA-LCD Viewsonic VP2030b - the colours of the Acer Extensa 5220 seem to have a somewhat blue tint. But, the brilliance is good for a matte flat screen. 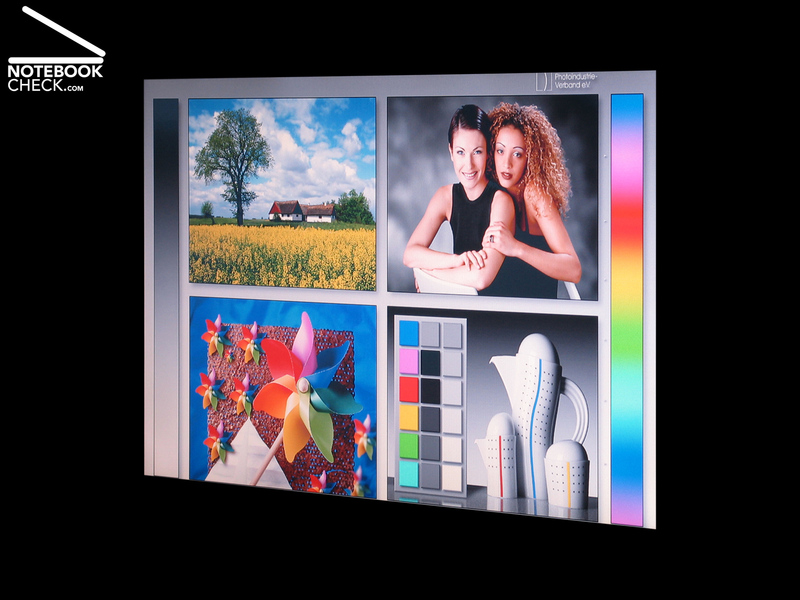 The reference pictures look good, if displayed on the Extensa 5220. Without doubt, working in pairs is superior and faster. Systems with dual core processors can handle multiple processes at a time. If you consider security important, you've surely installed a firewall and an anti-virus program, which both run permanently. Two processor cores can share the work load. 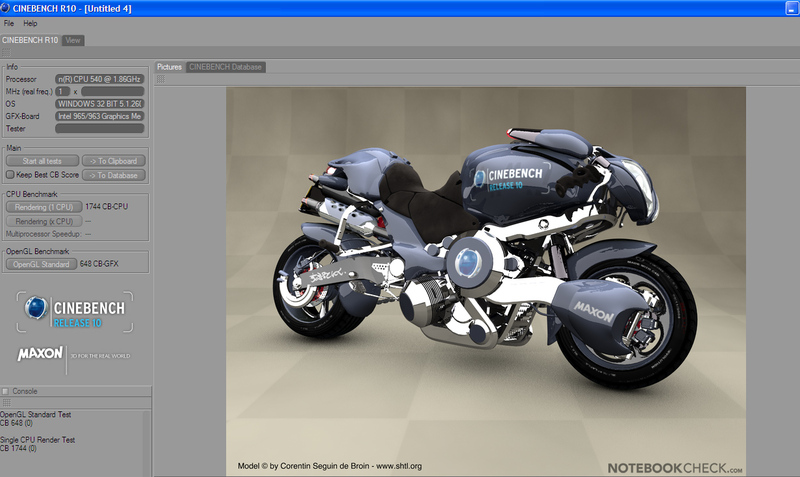 Furthermore, many picture, multimedia, music conversion, and video applications profit from two cores. E.g., converting MP3 files or video formats is much faster. Of course also the Acer Extensa 5220 with single core Intel Celeron M540 CPU can handle these tasks, but, not as fast as the newest dual core processors systems. 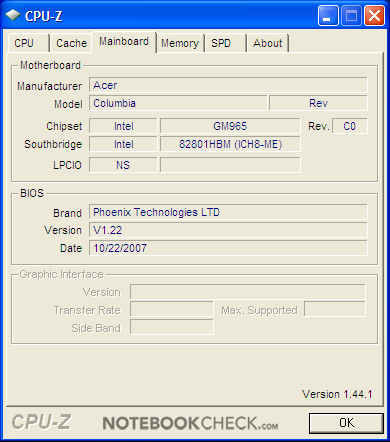 CPU-Z-Information of the Acer Extensa 5220. If your focus is on browsing the Internet or office application, or if you only require a second notebook, the Acer Extensa 5220 is a good choice. 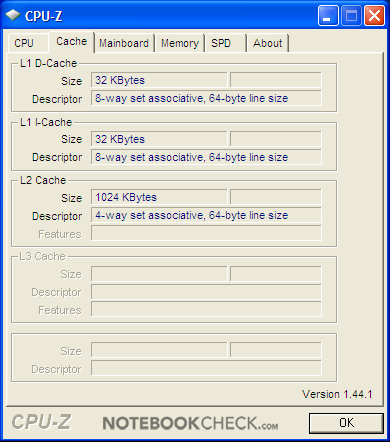 The performance of the Extensa 5220 with Intel Celeron M 540 (1,86 GHz, 1 MByte L2-Cache) is sufficient for these tasks. 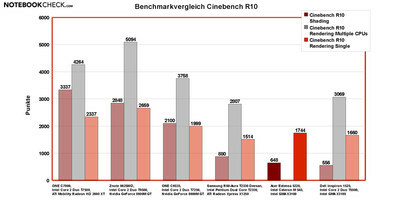 But, the result of the PCMark05 benchmark of 2,231 points is rather low. 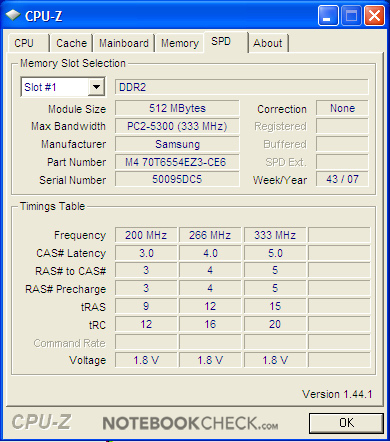 Toshiba's Tecra M9 with Intel Core 2 Duo T7100 (1,80 GHz per core, 2 MByte L2-Cache) reached, e.g., 3,068 points. 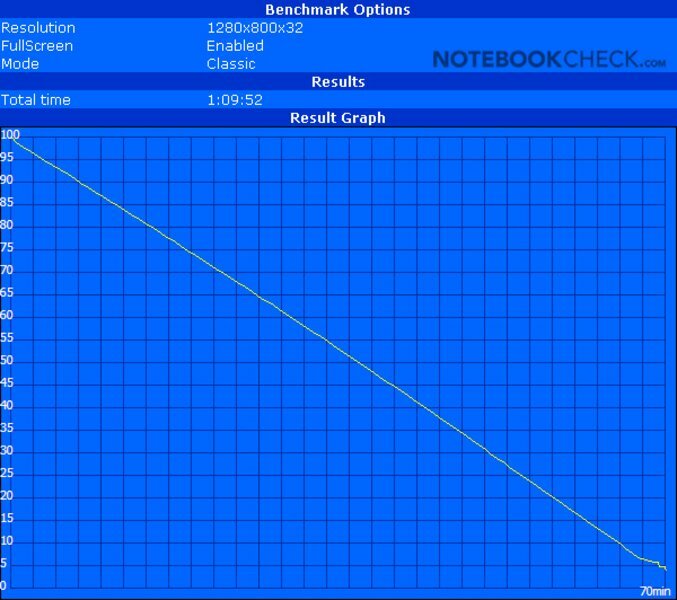 Regarding performance it is another disadvantage that the notebook is only equipped with 512 MB RAM. Today this is even under Windows XP insufficient. 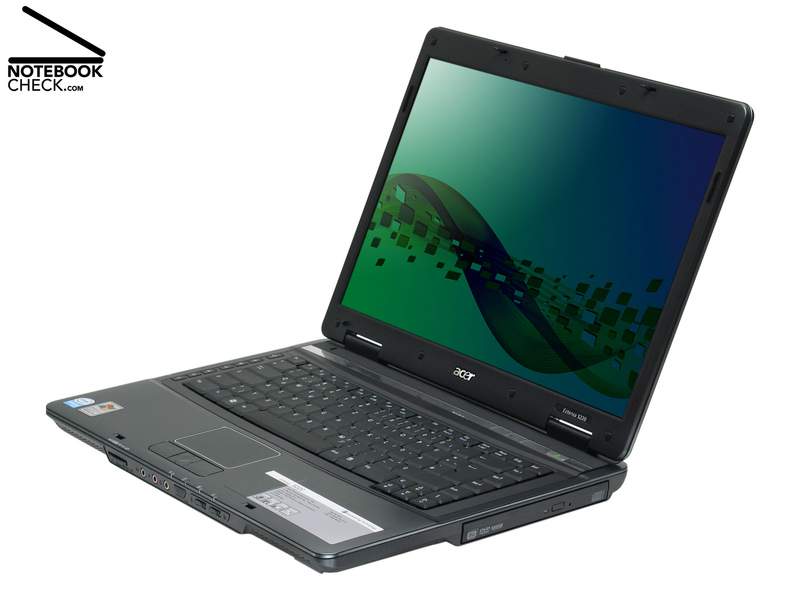 Therefore, Acer's Extensa 5220 has to frequently swap data from RAM to the 80 GB hard disk. 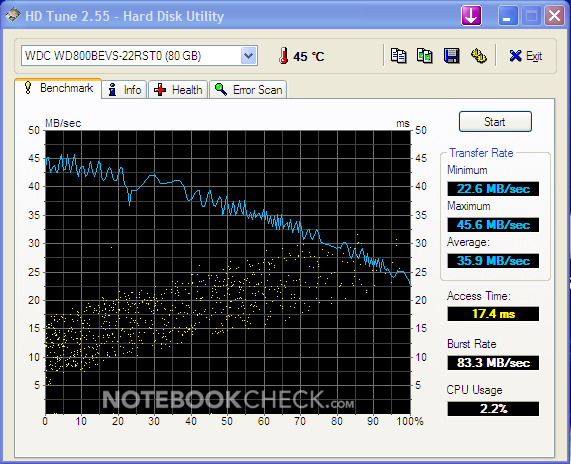 The built-in Scorpio WD800BEVS by Western Digital (WD) reached an average transfer rate of 35.9 MB/s in the HDTune benchmark. This is an average transfer rate considering it is a 80 GB hard disk, but of course considerably slower than RAM access. So, frequent swapping further decreases the performance. 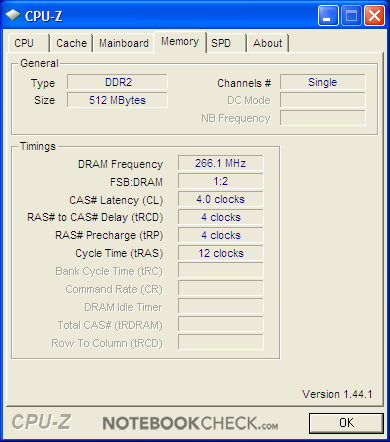 So, you should upgrade RAM capacity to one or even better two GB from the start. 1-GB-SO-DIMMs are available from 20 Euro upwards per module and a bigger RAM capacity will surely improve the performance, if an application demands much RAM. Acer's empowering technology tools might be helpful, but, they demand too much RAM under Windows. If you do not want to upgrade the RAM capacity immediately, you should at least reduce the number of memory resident programs. The integrated Intel GMA X3100 video solution is sufficient for office applications and simple video and multimedia applications. 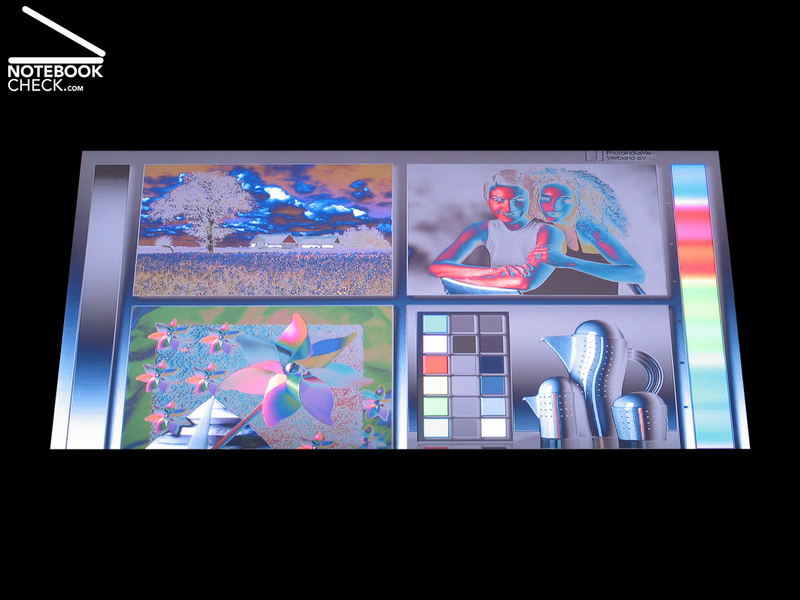 Older games, whose demands on video performance are not that high, can also be played. However, the X3100 is definitely not sufficient for demanding 3D applications or current computer games. 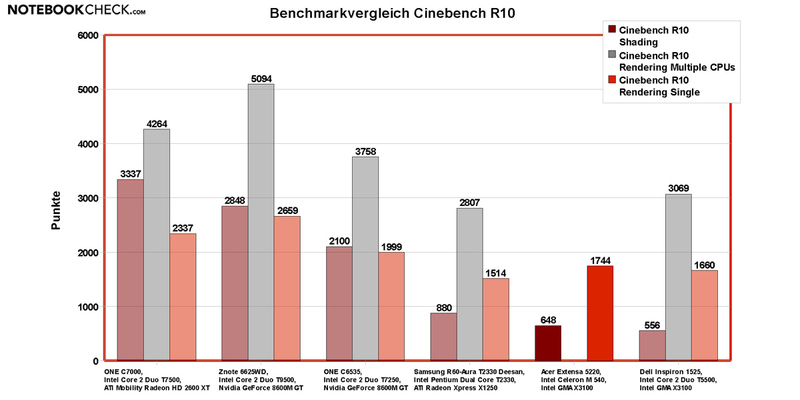 The 3DMark 06 benchmark result of only 177 points (video driver version 6.14.10.4837) and the CB-GFX result of 648 in Cinebench R10 for shading, prove the low 3D performance of the Extensa 5220. Although the fan of the Acer Extensa 5220 is nearly always audible, it does not neither annoy in idle mode nor under load, because it is a low frequency noise whereas the maximum noise level is 34.2 dB(A). If, the fan does not run, we measure between 30.6 and 30.8 dB(A) for hard disk access. This is very quiet and gets only obvious in very silent environments. Also the DVD drive is when watching DVDs rather quiet, and causes a noise level of just 35,4 dB(A). 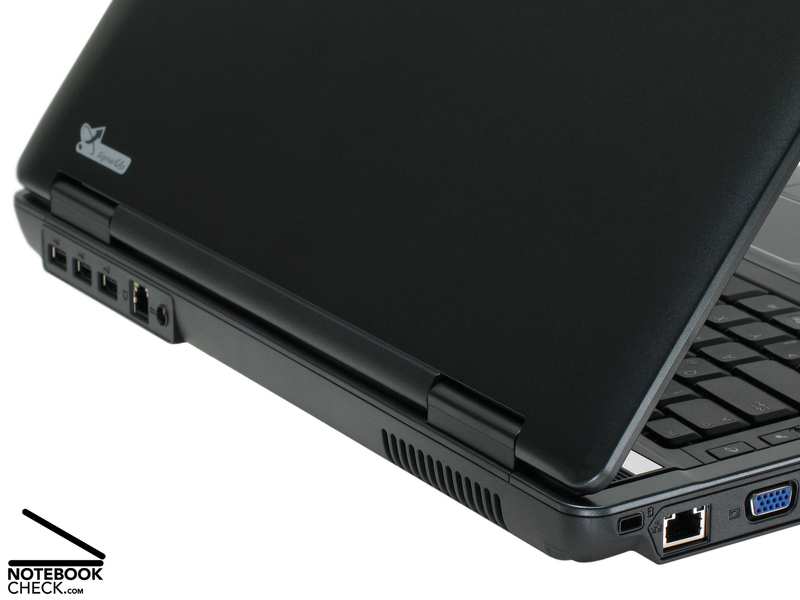 The Acer Extensa 5220 proves to be user-friendly regarding surface temperature at the top and at the bottom side. The maximum temperature of the top side is 34.0 degrees Celsius, measured left near the back. The other parts including the palm rest areas get only hand-hot, even if you work throughout a longer period of time. The temperature at the bottom side does also never exceed 36.0 degrees Celsius. To summarize, the temperature increases in general only a little bit. Many current notebooks do not have a good sound. The Acer Extensa 5220 is in general no exception. However, compared to even more expensive notebooks the small speakers of the Extensa 5220 are quite good. Although basses are hardly audible the sound of the middle tones is quite alright, if the volume is low. However, if you turn it up, the sound gets tiny and the speakers start to clang. The sound output of the analogue headphones port is good. In mains operation, idle mode, with activated energy saving profile, and dimmed display, the energy demand of the Acer Extensa 5220 is 20.2 Watt. Under full load the energy demand of the Extensa 5220 is also moderate, in more detail is is 49.7 Watt in mains operation. The battery runtime of the 44.4 Wh lithium ions battery was in average 2 hours and 19 minutes measured by the Battery Eater Reader's test. Compared to other notebooks of the same category this is just sufficient. The runtime during the Classic test, that is under higher load, was about 70 minutes. If you require more mobility a 8 cells, 71 Wh battery, which costs about 100,- Euro, is also available. Disadvantageous: There is a plastic cushion fixed to the battery, which is missing, if you remove the battery from the notebook in order to give it a break. 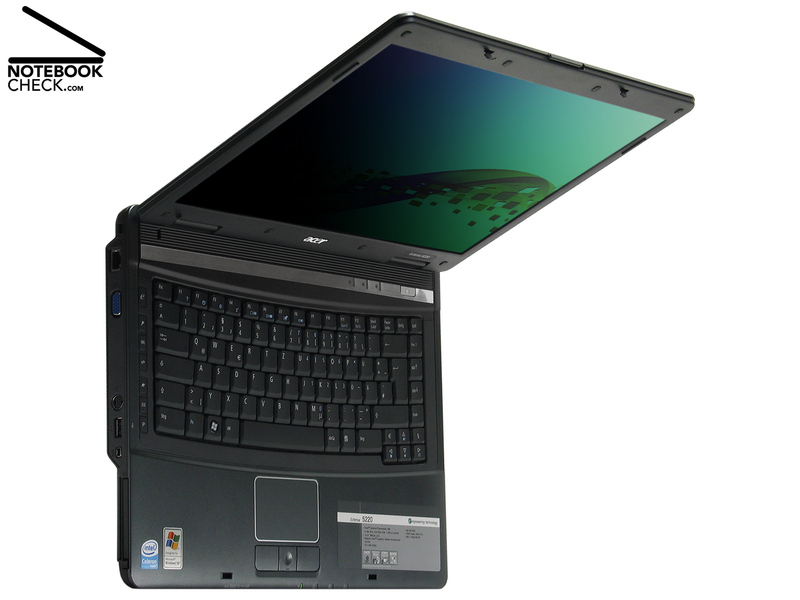 The Acer Extensa 5220 is a clear bargain with good price/performance ratio, ultimately suited to those who wish to have a good looking, well equipped, and solid office notebook and who do not need the performance gain of two processor cores. The Acer Extensa 5220 scores point by a solid case and a good workmanship. 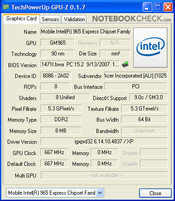 Considering the notebook category, the interface equipment is also good. 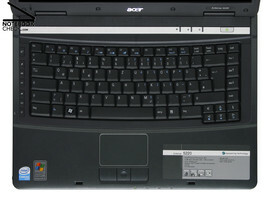 Except of Bluetooth all important communication interfaces are provided by the Acer Extensa 5220. The input devices do not need to fear the comparison with others provided by more expensive notebooks. They make a comfortable writing possible. 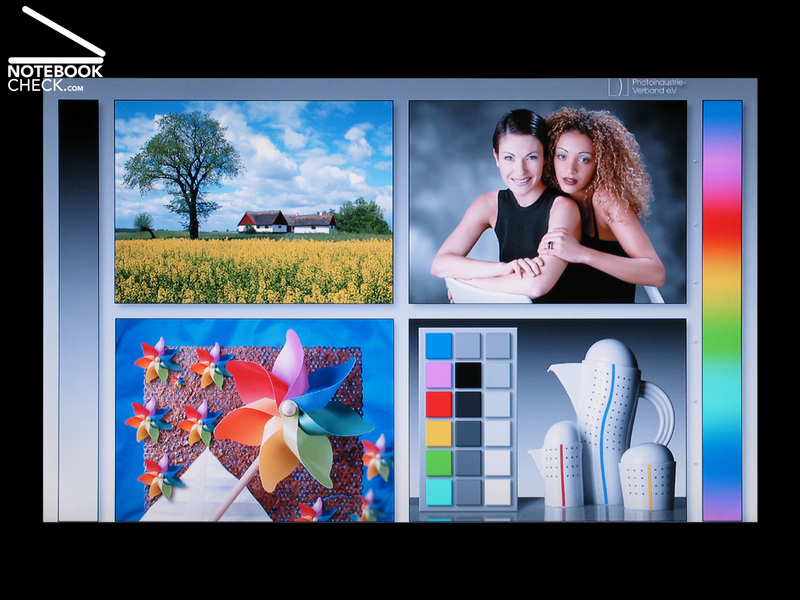 A special advantage of the Acer Extensa 5220 is its 15.4 inch WXGA flat screen. The display reflects hardly and it is bright, whereas the brighnes is homogeneously distributed. Contrast and brilliance are also good, considering it is a matte display. 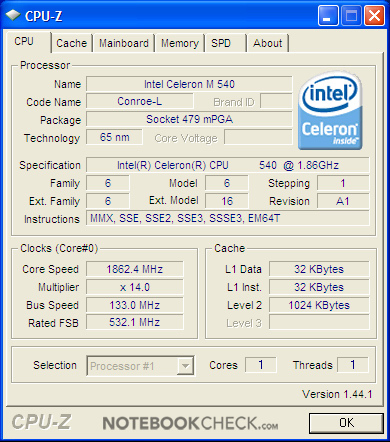 Intels Celeron M 540 and the integrated GMA X3100 video chip are sufficient for standard office work and browsing the Internet, and also for not too demanding picture editing, multimedia applications, and video applications. But, memory resistant processes, e.g., virus scanners, slow down this single core system. Furthermore, you should consider to at least upgrade to 2 GB RAM. 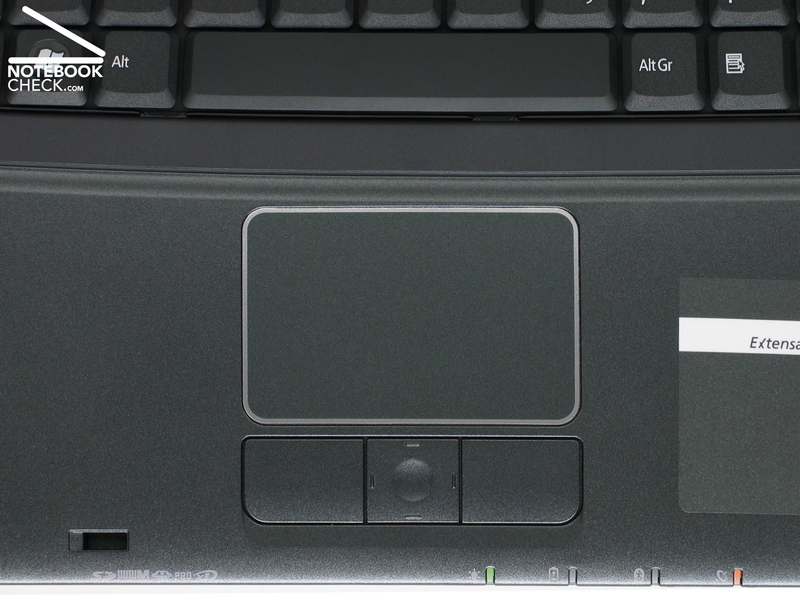 The Acer Extensa 5220 is above-average regarding noise and temperature emissions. 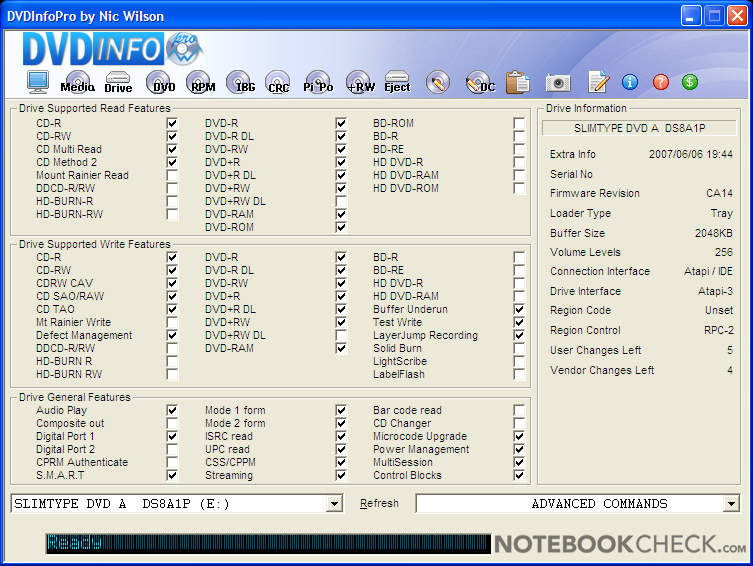 It is a user-friendly notebook regarding these aspects. 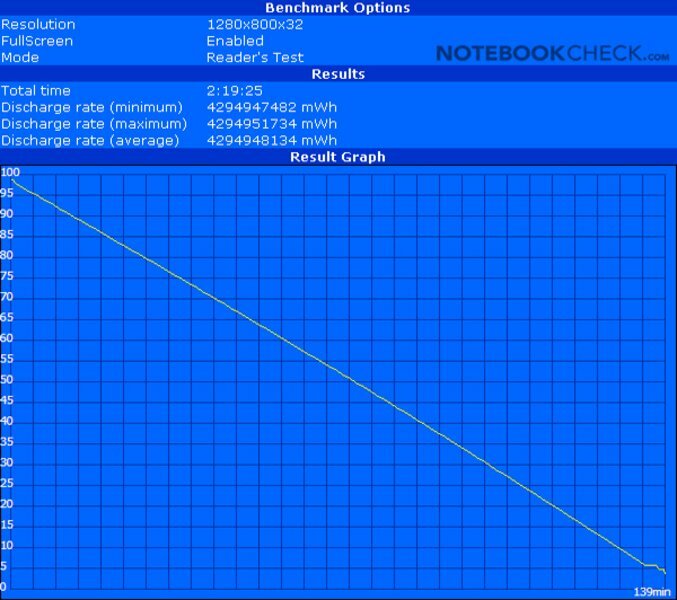 However, the battery runtime of the Acer Extensa 5220 was not convincing. The price of the reviewed notebook was 465 Euro at the time the review took place. 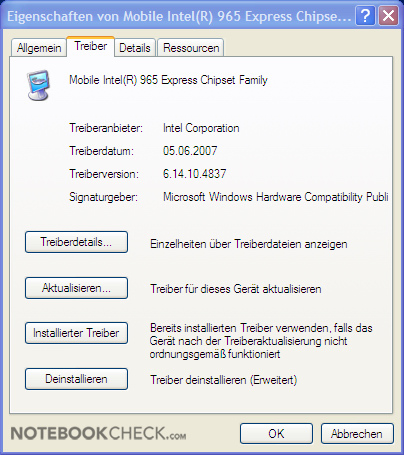 If you do not need XP, and want to use Linpus Linux instead, you'll get the Acer Extensa 5220 for just 399 Euro in some on-line shops. The Acer Extensa 5220 is a reasonable and solid office notebook, which looks nice, has user-friendly input devices, and a bright, homogeneously illuminated display. 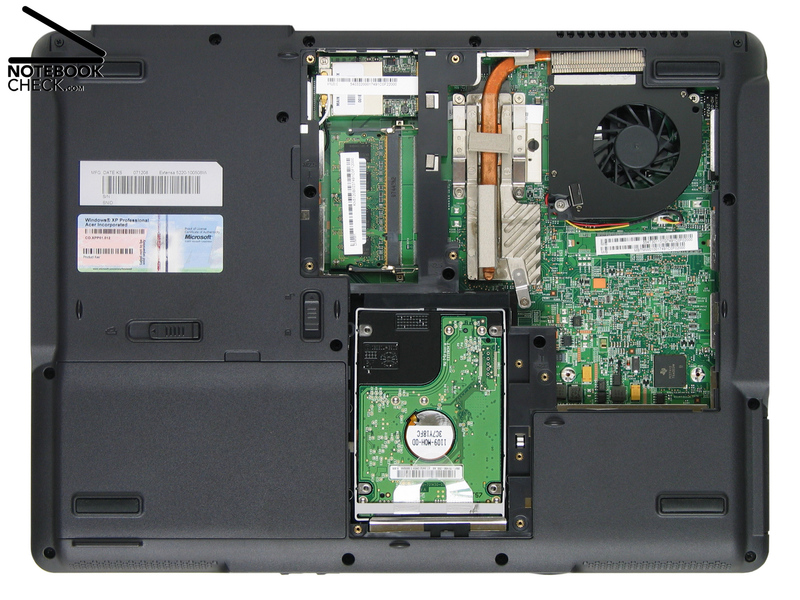 The fan of the Extensa 5220 is decent for this notebook category and it emits a low-frequency noise. The hard disk capacity of 80 GB is not really big. Another mass storage device provided by the Extensa 5220 is an optical drive. ...and hard disk, RAM and fan can be easily maintained. Especially cleaning the fan is very easy this way. Both speakers are left and right a little bit below the front edge. The sound of them is not really attracting, but, if the volume is not too high, it's alright. The keyboard is convex. This design contributes to user-friendly typing. Lots of hot keys are seldom provided in starter notebooks. The Extensa 5220 has actually seven - brilliant! Don't worry. Although we actually turned this notebook upside-down, the case proved to be stable and such handling is really safe. The control centre of the Acer Extensa 5220 does not look too good. The silver-chrome moulding does not look nice and the three indicator LEDs do not really match there. The power switch is green illuminated. The DVD burner at the right side also supports DVD-RAM, which is an important format for professional data backups. 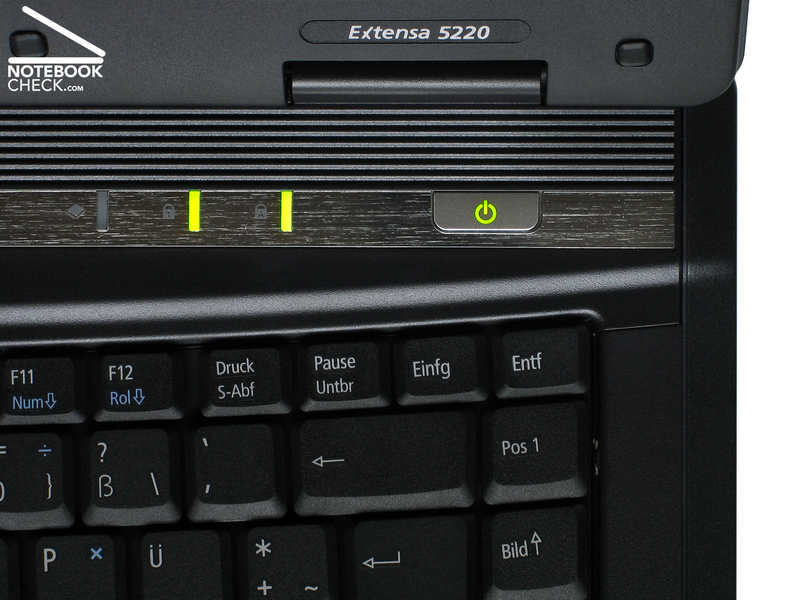 At the front side of the Extensa 5220 there are a lot of ports and switches. 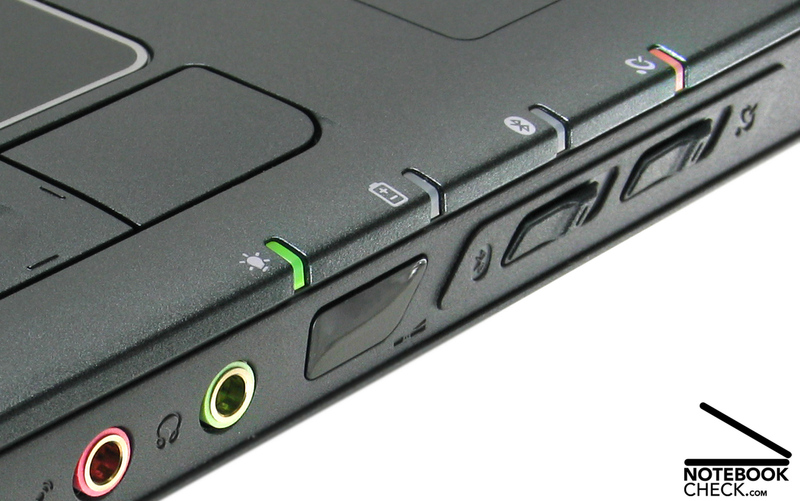 Besides sound ports, there are also an infra-red port, and both slide switches for Bluetooth (not available) and WLAN. The touch pad also provides an unusual, but useful, 4-way scroll button, which enables you to quickly browse through long documents. The important indicator LEDs of Extensa 5220 are bright and easily to watch, because they are centred. ...Gigabit-LAN, VGA, and S-Video a little disadvantageous at the left side. 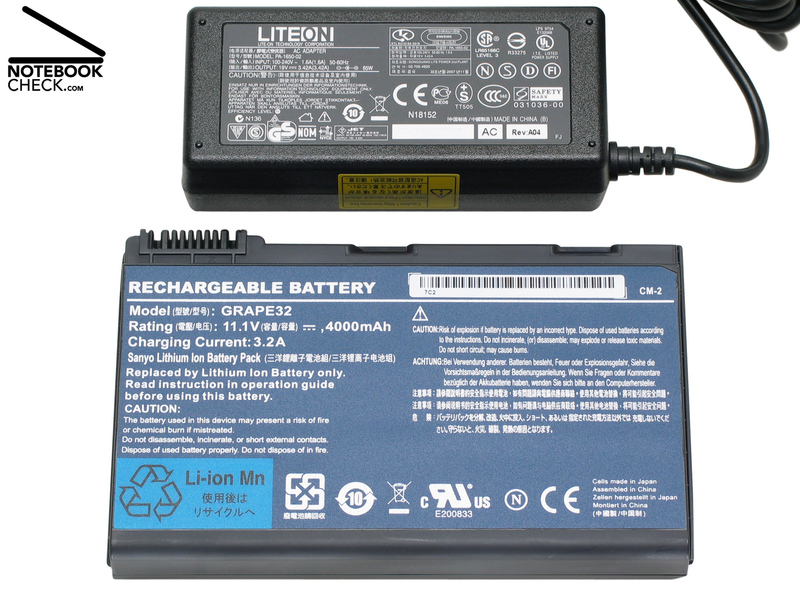 The 44.4 Wh battery has a runtime of clearly above two hours. If you demand more, there is also a 8 cells battery available.